Fat Man Fabrication in Mint Hill, NC approached NC Web Pros about redesigning their current website. Site visitors found their site hard to navigate and information was outdated. 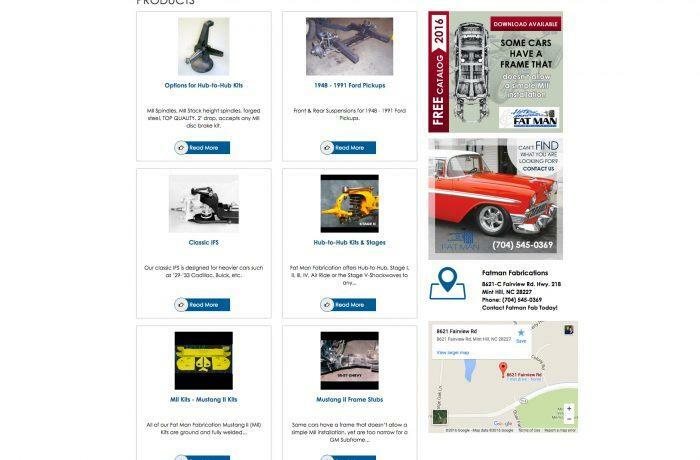 NC Web Pros developed the new website using WordPress and WooCommerce for the display of products. Although the client does not wish to sell product on the site, the option is there with very little additional work involved. The products are now easy to find, information is kept readily up-to-date and the final result was complete customer satisfaction.